In the United States there is an estimated 28.6 million people over the age of 12 who have used illicit drugs in the last 30 days. With the current opioid epidemic surging throughout every state in the nation, an estimated 11.8 million of those users misused opioids, including the 11.5 million-pain reliever’s misusers and 948,000 heroin users. As intravenous use is the preferred method of delivery for heroin, that’s almost one million people who run the risk of spreading bloodborne infections like HIV, Hepatitis and many more near fatal diseases. Injection drug users are also at serious risk of contracting Hepatitis B and Hepatitis C. Hepatitis B infects between 140,000 and 320,000 people every year and kills between 5,000 and 6,000 people in the U.S. Hepatitis C infects about 36,000 people in the U.S. every year, killing 8,000 to 10,000 of those infected. 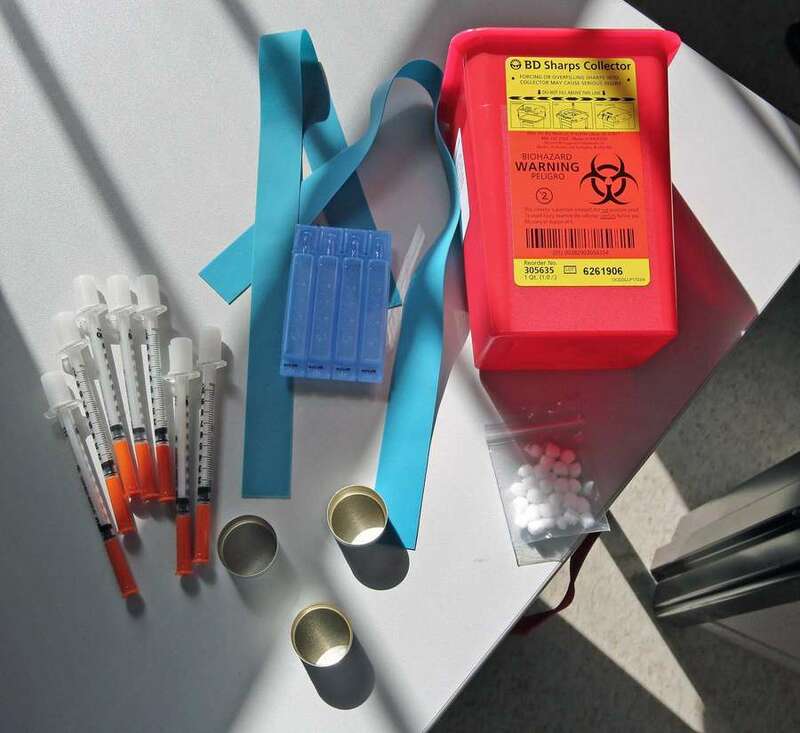 Through an analyses of a New York State approved Needle Exchange program over a 12 month period, an estimated 87 HIV infections where averted due to the use of the program. There are already approximately 950,000 US residents who are living with HIV/AIDS, and more than a quarter of AIDS cases among people 13 years old or older are directly linked to injection drug use. Despite the evidence, Federal law forbids use of federal funds to support needle exchanges, but exchanges still operate in 38 states. Participants of Needle Exchange programs are 5 times more likely to enter drug treatment than those who have never used an exchange program. Most all exchange programs operating today offer education on HIV/AID and distribute condoms. Past that they are offered HIV and STD testing, counseling services and access to drug rehabilitation centers. Due to the fear of being arrested for carrying drug paraphernalia, injection drug users are 1.74 times more likely to share their syringes and 2.08 more likely to share injection supplies than other users. Most people that are opposed to these types of programs are insistent that crime grows in the surrounding areas because of the frequency of drug users in the area. But a study of a Baltimore syringe exchange program and the areas surrounding it showed that there are no significant increases in crime around the area. In Baltimore break ins and burglaries which are statistically the most economically motivated crimes connected to drug use actually fell in areas with the program. It actually increased 8% in non-exchange areas. Enabling is defined as giving someone the authority or means to do something, when in actuality without the program users would be using regardless, threatening their loved ones and anyone else exposed to them. As many people believe these types of programs shouldn’t exist, they cannot argue the facts surrounding these programs published by nationally recognized health authorities. Whether the programs condone or prevent drug use, they are helping the fight against HIV and STD’s. These programs are pertinent to public safety and allowing drug users to be exposed to heroin addiction treatment options consistently, increasing their chance of recovery. While the general public that does not suffer from the pain of substance addiction may not like the message, they should be aware of the results and the benefits coming from such a controversial, yet necessary program.